This cutting edge suite consists of Governance Manuals, Workbooks, PowerPoints as well as Governance Grids. It covers all aspects of best practice irrespective of the size or sector you are in. You will get the complete suite to choose from. We believe this is an absolute game changer for any organisation who wishes to elevate their performance and effective resulting in increased overall wealth. 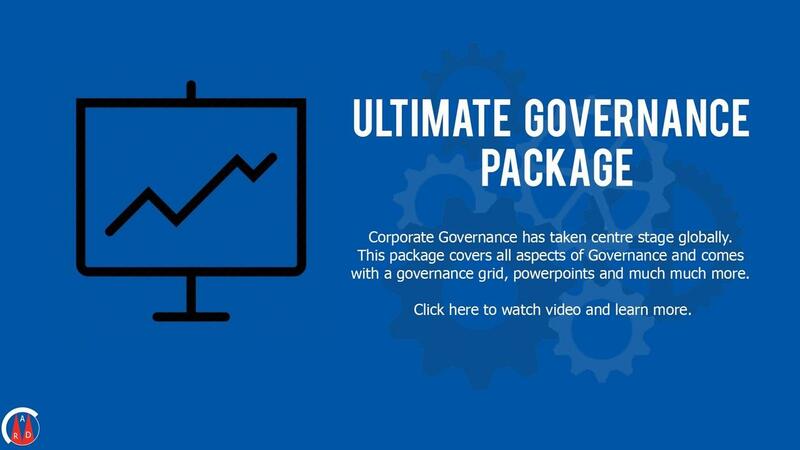 This Governance Pacakge consists of manuals, workbooks, governance grids as well as powerpoints. Suitable for any size of companies, CEO'S, Directors, Managers, Professionals, Consultants and Trainers.